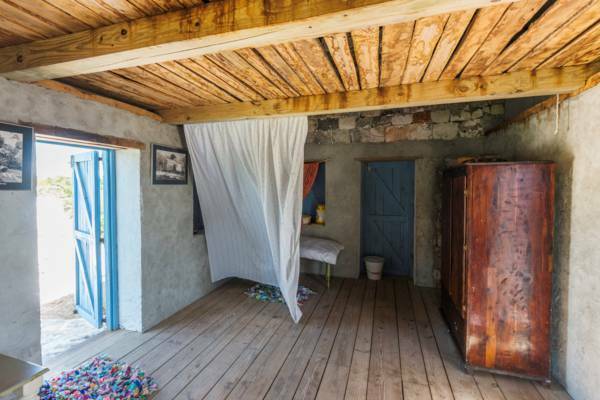 The replica of an authentic Turks and Caicos House. The National Museum site isn’t extensive, yet it’s convenient to access and is worth a quick visit. Funds are being raised to construct a modern museum. The grounds and outdoor exhibits at the National Museum on Providenciales. The National Museum site on Providenciales hosts a small collection of outdoor historical exhibits. The current site and exhibits are a placeholder for a modern museum building, which funds are currently being raised for. This heritage site on Providenciales is a counterpart to the Turks and Caicos National Museum in Cockburn Town on the island Grand Turk, which houses important exhibits on the Molasses Reef Wreck, which is the oldest excavated European shipwreck in the Americas, and on the Taino people, the first known inhabitants of the islands. When the Providenciales museum branch is completed, the origin of exhibits and artefacts may determine which museum they are displayed in. As our country’s name suggests, our archipelago is made up of two island groups: the Turks Islands and the Caicos Islands. 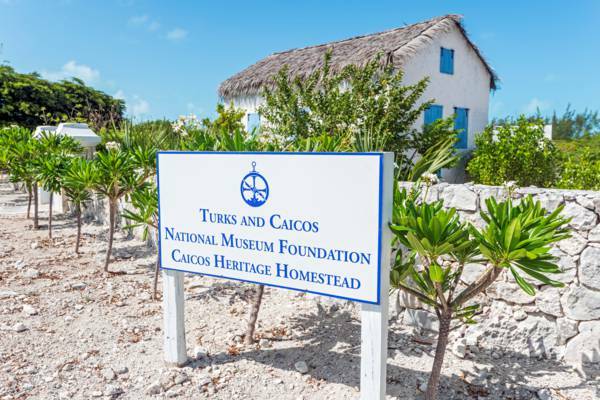 Subjects and items related to the Caicos Islands and Tainos, such as the Molasses Reef Wreck, may be relocated to Providenciales, and exhibits tied to the Turks Islands, such those on the U.S. Space Race and the HMS Endymion wreck, would be shown in Grand Turk. The Providenciales Museum would also allow space for exhibits on the Loyalist Caicos plantations, the historic Trouvadore slave ship wreck, the cave guano mining days, the sisal plantings, and the nation’s late 1900s foray into luxury tourism. The interior of the replica home at the Providenciales National Museum. There is currently no charge for visiting the museum ground. Donations towards the future museum are greatly appreciated. The National Museum is open for tours Monday to Friday, from 9:00 AM to 1:00 PM. The museum grounds are located in the Village at Grace Bay on the western side of the Grace Bay region. The centrepiece of the museum site is a reproduction of a late 1800s to early 1900s home, an example of a common residence at the time. This building is surrounded by several varieties of indigenous plants and trees that played an important role in local living, including species used for medicinal purposes, and hardwoods that were used in boat construction. This structure was assembled from locally-quarried cut limestone and plastered with stucco to prevent the decay of the soft rock, as was the most common for nearly all houses, warehouses and cisterns. The outer roof also follows the traditional practice, with a thatch palm (Coccothrinax inaguensis) frond covering. Other fascinating artefacts include centuries-old ship’s anchors and a 1700s cannon. Another interesting feature is on the Caicos Sloop, a small locally-built vessel that served as the mainstay of trade, transport and fishing in the Turks and Caicos for centuries. Onsite is the hull of a small Caicos Sloop, and the half-scale framework model of another. The story of how these sailboats were made by hand is fascinating in itself. Last reviewed by an editor on 22 July 2017.